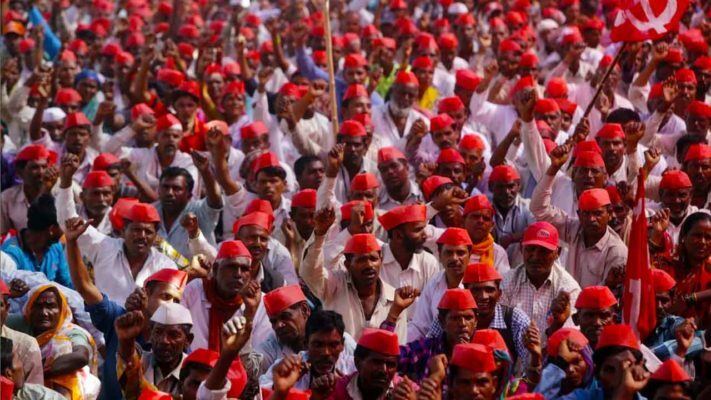 Thousands of farmers and workers have started their Kisan – Mazdoor Sangharsh rally on Wednesday morning from Ramlila Maidan. They will march to Jantar Mantar via Parliament Street. Farmers and workers from all over the country had been making their way into the National Capital since Tuesday. The protestors were camped at the Ramlila Maidan. This rally has been organised by the left-wing farmer and worker outfits like Centre of Indian Trade Unions (CITU), All India Kisan Sabha (AIKS) and All India Agriculture Workers Union (AIAWU). The gathering was addressed by leaders of these left-wing outfits. “This is the first time after Independence that farmers and workers will jointly participate in a rally against the Government,” CITU General Secretary Tapan Sen mentioned while addressing the protestors. He also said that their struggle does not end with this march and the second phase of their struggle would start soon. He also criticised the Government for making such policies which are in the interest of the Corporate and the rich. The demands of the protestors at this march was not very different from the demands of the march held earlier this year. The farmers and workers demanded remunerative prices for farm produce as per the Swaminathan Committee recommendations, loan waiver, a minimum wage of not less than Rs. 18000 a month and recognition of one crore Anganwadi and ASHA workers as a workforce. A cultural programme is also being held to highlight the importance of farmers to the economy and everyday lives of the citizens of the country. 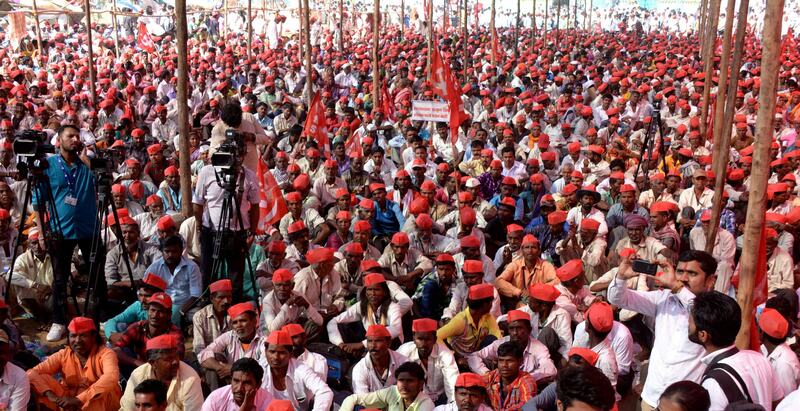 This rally is also being attended by those, who in the Kisan March in Maharashtra in March this year, demanded a loan waiver and a proper minimum support price for labourers. “The BJP Government in Maharashtra fooled us. I have come to Delhi to raise my voice against the anti-farmer policies of the Centre. I will not stop till I get the right price for my crops,” said a protestor from Maharashtra. CPI(M) leader Sitaram Yechury said that the protests will be intensified unless the Government pays attention to their demands and takes action to fulfil them. Meanwhile, the Government has remained silent on this issue. [VoxSpace Tech] E3 2018 : What’s On The Horizon For Gamers This Year?